Coming to Heraklion for the first time, the visitor nowadays may be somewhat surprised by the changes that are taking place in Crete”s capital city; Heraklion is celebrating its rich history and moving onwards to a future full of potential. Heraklion today is living between the fast moving currents of regeneration and a deep desire to maintain links with a past. Both these strands define its character. In the last hundred years alone, we have seen huge changes, which can be quite easily followed, in buildings and streets that reflect the changing fortunes of Crete. The ‘old town” areas of the city, established from mediaeval times, now offer visitors some fantastic walks in the heart of the city. If you begin a walk around Heraklion, starting at the fishing harbour close to the modern port, what will strike you first is the Venetian fortress at the harbour gate. The fortess was originally built by the Venetians and calledRocca al Mare, but is now known by its Turkish name, Koules. It has a mixed history; for centuries it was used as protection against invaders, as were the great city walls and ditches. These are among the longest city walls in Europe. The car free 25 August St. is directly opposite the Old Harbour and extends to Lion Square. It takes its name from a massacre of ‘martyrs” which occurred in 1898. This involved the killing of many Cretans and, crucially, British in this area, by the Turks, finally forcing the ‘Great Powers” (Britain, France and Russia) to recognize Crete”s struggle. These events led eventually to the declaration of a Cretan State and, finally, unification with Greece in 1913. Old and modern buildings compete for space now on the street named to remember 25th August. Walking up the short hill, and passing the shops and tourist offices, we reach St. Titus” Cathedral, an impressive sight. Saint Titus, a fellow traveller of Saint Paul, preached the gospel in Crete during Roman rule and was martyred in Gortyn, where a 7th Century basilica stands in his memory. His church in Heraklion was built during the second Byzantine period, when it first served as the city”s cathedral. During Venetian rule, it housed the seat of the Catholic archbishop and was renovated in 1466, only to be ruined in a fire in 1544. During the Turkish Occupation it served as a mosque and called Vizier Tzami, when a minaret was added, now gone. The present-day structure is the result of further renovations after its almost entire destruction by a strong earthquake in 1856, and later work which followed in 1922. The skull of St Titus was transferred here from Venice in 1956 and has since been kept in the church. If the cathedral is open when you visit, it is well worth going in. St. Mark”s Basilica, almost next door, is now the Municipal Art Gallery and often host to art and crafts exhibitions, almost always open to visit. Built in 1239 in the Piazza delle Biade (Square of Blades), it was at one time the Cathedral of Crete. The Basilica belonged to the reigning Duke, eventually becoming his burial place. This is the heart of Heraklion where tourists and locals share the small space around the fountain, exchanging glances and perhaps a few words. Business and pleasure combine here, and it is the place to meet for whatever purpose or no purpose. To give some background, it might also be called the Morosini Fountain or, Liondaria in Greek or, more properly, Plateia Eleftheriou Venizelou, after Venizelos, Crete”s greatest man of state. The decorated fountain is composed of eight cisterns and decorated with stone relief, depicting figures of Greek mythology, Nymphs, Tritons, sea monsters and dolphins, while the main basin is supported by four sitting lions balancing a circular bowl on their heads. It was left by Francesco Morosini, the Italian governor who had it built to commemorate Venetian success in bringing much needed water, through a brilliantly executed viaduct system from Mount Youchtas, to the centre of the city. Morosini was still in charge when the Turks captured the city. Nowadays it is always interesting, the hub around which Heraklion revolves. From top to bottom, with some shaded sideways exits, this old Market Street is still a place for ‘Herakliotes” to come every day to find socks, shirts, herbs, fish and fresh meat. It”s a good place to find thyme honey, raki (the Cretan clear spirit) from among shops selling everything from selections of Cretan music to the finest cheese. This market has a long history, always a place to meet and make plans. Walk the side-streets and you will smell good Cretan food and feel the buzz around you. Plateia Kornarou lies at the top of the market, with a lovely Venetian fountain of its own, the Bembo Fountain, probably the oldest, and it bears some very good decoration, although it has ceased to fount. The Bembo Fountain was built in 1588 by Venetian architect Zuanne Bembo. It is decorated with columns, Venetian family coats-of-arms and a headless male statue, brought here from Ierapetra. At one time, people believed that the statue had supernatural powers and, every May, religious rituals were organised in its honour. The atmospheric kafeneio alongside it, still serving Greek coffee and aperitifs from an antique stone pavillion at its centre, is a great reminder of Crete”s Turkish past. The Plateia itself is named after Vitsenzos Kornaros (1553 to approx.1614), composer of the epic poem Erotokritos, which is regularly performed around Crete, and still evokes pride in every Cretan heart. From here, it is close to Agios Minas Cathedral or, in the opposite direction, Freedom Square. You will find plenty of life around the wide space in front of the cathedral, dedicated to the Patron Saint of Heraklion and one of Greece”s largest churches, completed in a cruciform shape with twin towers. The church suffered damage in the battles for the city and needed thirty years to be rebuilt. In 1896 it was inaugurated with lavish celebrations. The spacious Plateia Eleftherias is worth exploring, built in a crescent shape alongside the Archaeological Museum and close to Heraklion”s municipal buildings and the main foreign Consulates. Apart from breathing space, it offers the shaded park of Georgiades, a fine place to rest the feet and watch the busiest intersection in Heraklion. On the seaward side of the square is the entrance to St. George”s Gate, used from Venetian times as a passage between the city and its port, the entrance is down stone steps, leading to an atmospheric dome-roofed chamber and the lower exit. The passage may still be accessed and is often the venue for art exhibitions. It is all that remains now of an important mediaeval entrance to the city. There are plenty of eating and drinking houses that occupy the north side of the square. You may leave Plateia Eleftherias by looking to the left of the cinema, called Astoria, to a shopping street called Daidalou, named after Daidalos, the teacher of Ikaros who flew too close to the sun in his efforts to leave Crete. It is a chic shopping street that borders, on the right, an interesting old section known as Korai, the place for smart Herakliotes to go at night, with some very interesting café”s and bars and a night-time party atmosphere. At the far end of Daidalou, you return Heraklion”s famous Lion Square. You will read about and see evidence of the siege of the city that lasted 21 years (1648-1669) and ended with its capture by Ottoman Turks and the start of a desperate epoch. Almost constant insurrection and strife for 250 years followed until final unification with Greece. More recent exhibits are concerned with the 20th Century, and the 1913 unification is dealt with, under the leadership of Eleftherios Venizelos. Other rooms offer evidence of the island”s most recent warfare and the 10-day Battle of Crete in 1941 is powerfully evoked. Another room, a reconstructed library, dedicated to Crete”s most famous writer, Nikos Kazantzakis, who captured for a moment the soul of Crete. The restaurants outside the museum offer shade and fine foods. 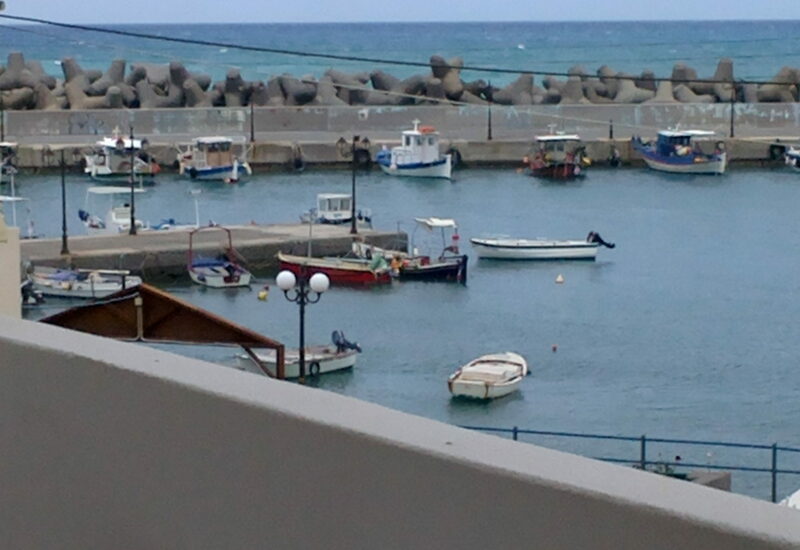 The Heraklion Municipality’s territory, from its coastal aspects to the inner Municipality, raises a uniquely wondrous intra-world. Visiting its 24 villages you will discover the uniqueness that characterizes it. Meet the Cretan flair, the traditional and the modern way of rural life, the traditional values and principles of «Xenia Zeus”, the pure products of “Cretan Nature and Soul.» Picturesque villages and settlements with the special features of the Cretan architecture as these have been transformed and assimilated since the Byzantine, Arab, Venetian and Ottoman eras, are a revelation to the history of the place. Venerato, Skalani, Agios Sillas (Silas), Asites, Agios Miron and every village in general, maintains its own historical memory. Archaeological monuments, remnants of past eras (Roman, Byzantine, Venetian and some of the more recent history) inform the visitor about the long and continuous history of the place.